Labellers allow your business to create and apply professionally finished labels to a host of goods, products and packaging. 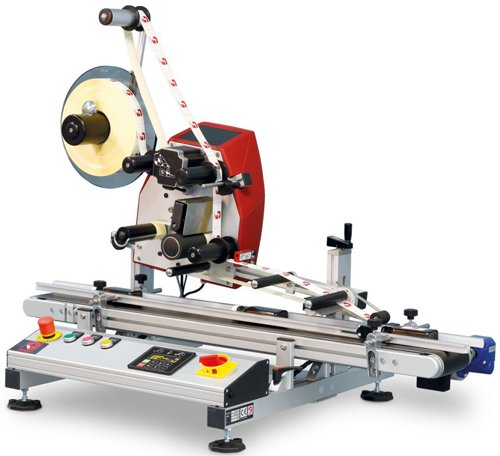 As well as saving you money, purchasing a labelling machine can enhance the look and saleability of your products by giving you a professional edge over your competitors. However, to achieve this, you need to ensure that you have the right machine; one which can produce perfect labels for your specific products and packages. One important element in achieving this is knowing what type of label is best suited to the packaging you use for your products. Read on to learn more. Different packaging and products require different labels, especially if you are to create a professional finish that attracts customers. Labels not only provide the customer with information, but also give an insight into the approach of your company and how much you value both your business and your customers. Poorly constructed labels suggest that you do not care a great deal for either, and this may instil a lack of trust in your products and your business. However, a well-designed and carefully applied label indicates that you take the time and effort required over both the goods you sell and your customer care. There are some considerations that are universal when designing and creating labels. Firstly, your label needs to be big enough to include all relevant information. However, you do not want it to be so big that it covers the entirety of the product. This is one reason why it is important to use a label applicator machine that is specifically set for wrap around labelling if you are labelling bottles, tubs or other similar containers. That information also needs to be easy to read, so the typeface and size of text are important. The colours you use are also important. Some colours are easier to read than others; and if your label includes vital information, it is vital that it can be easily read. If you are designing labels meant to appeal to customers, you should ensure that any creative elements do not obscure the information that the label contains. Do You Need A Print And Apply Labeller? Labellers are available that provide a range of different functions; from ones that create labels for you to apply at a later date to a print and apply labeller, which completes the whole process seamlessly. These labelling machines can usually be integrated into your existing production lines, in order to increase its efficiency. However, they are also capable of working as stand-alone units, giving you the flexibility your company needs. Print and apply labellers can be purchased in many different formats as well, offering freedom of choice as to where and when the labels are added to the packaging. This is ideal if you require labels to be added to the top of the packaging or to the side. These machines can be incorporated onto existing production lines without the need to move around the machinery that is already there. Such machines can also be adapted to run at different speeds, meaning that they can be programmed to match the speed of an existing production line and not slow down your systems at all. Given this, it is important to check the specifications of any labellers that you are considering. As well as the speed of the machine, you need to check the size of labels it can produce and the level of automation that it provides. Fully automated labelling machines need little input from you, unless you need to reset the print or type of labels being produced. While these types of labelling machines have a wide variety of purposes, there are times when you need something more specific, to meet the additional demands of a job. For instance, a vial labeller is a must if you are producing labels for medical or scientific vials. There are numerous reasons why a more specialised machine is required for these jobs. Firstly, such machines are designed to work in the specific conditions that such containers are produced in, including working in clean environments and handling small, awkwardly shaped and delicate containers. Such machines provide speed and accuracy, while reducing downtime and the risk of mistakes. Whether you provide vials to pharmaceutical companies, laboratories or medical facilities, your reputation relies on accuracy as much as it does on your ability to fill orders on time. A bottle and vial label applicator can be easily adjusted for differently sized vials and other containers, and provide high quality printing and thermal transfer printing where required. If you are unsure as to whether you require this type of labeller, you should look for a company which is knowledgeable and has experience of providing machinery for your particular business sector. Contact your chosen supplier and provide them with as much detail as you can about the lines you produce; the information that needs to be included on the products; and the end purpose of the products. The company will be able to suggest the most cost-effective machines that both meet your needs and ensure a high-quality finish every time. Companies on your short list should also offer technical support and be able to provide the consumables you need to keep your printers and labellers working. Sessions UK is one such company who should be top of your short list. Whether you are looking for a semi-automatic desktop labelling system, a fully automated print-and-apply labelling machine or one that is designed specifically for pharmaceutical requirements, we at Sessions UK are here to help. As well as a full range of labellers, we also provide thermal ribbons and foils; a full support and maintenance service; and spares and repairs. Why not call us today on 01904 610613 to discuss your specific needs, and ask us what we can do for you? Alternatively, you can visit our website at https://sessionsuk.com to see our full range and the services that we offer.